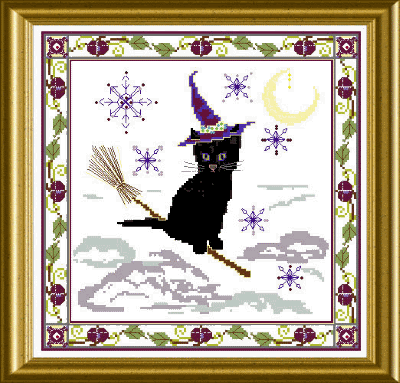 This little, fluffy kitty has disguised as a Halloween witch, sort of ! Putting on one of these hats – sitting on a broom, ready for a night flight…. You can stitch this dear littlte furry nose now, using black fluffy Whisper thread – or change it to plain black DMC – it is up to you ! 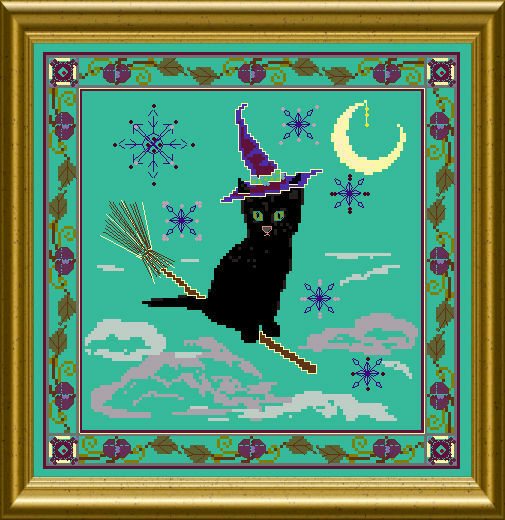 The frame has some “purr-ple” pumpkins in it with a few Special Stitches and some bling is scattered over the entire design too !